The World Gold Council (WGC), the market development organization for the gold industry, has released its latest edition of Investment Commentary, which looks into relevant economic factors that may influence gold’s performance in the remainder of 2014. Their outlook for the yellow metal is mostly positive. It is widely known that gold tends to be in high demand during times of economic and geopolitical crisis, as investors seek safe-haven assets. However, the report points out that gold demand can also benefit from times of positive economic growth. The majority of total gold demand comes from consumer demand. In the United States, it accounts for 50% of annual gold demand. During times of economic growth, incomes are higher and consumers can afford to buy more gold jewelry and electronics. WGC calculated in a previous report that with all else held equal, a 1% rise in global real GDP increased gold jewelry and electronic demand each by an average of 5%. And in countries such as India and China, the two largest gold consumers in the world, gold demand tends to closely correlate with increasing wealth. Therefore, gold demand does not only benefit when the economy is suffering – it can benefit from a growing economy as well. For further reading on interest rates and gold, see our previous blog Gold and Interest Rates: What You Need to Know. Physical gold has no counter-party risk. You are the sole owner of it, as opposed to having a contract with a company that could go bankrupt. Gold has very high liquidity even when supply is limited, and is easy to obtain despite its scarcity. There is little to no active management required when owning gold. Since it is considered a long-term investment usually held for 5-10 years or more, there is less of a need to constantly monitor its performance. Cost of gold ownership is low. Aside from the initial purchase price, usually the only additional costs are storage fees. Other investments such as cars or real estate have a much higher cost of ownership, which includes insurance, maintenance, repairs, etc. These troubles in the gold mining industry are putting constraints on supply, which helps drive up demand and prices. In addition, gold recycling has been declining since 2009, further constraining supply. 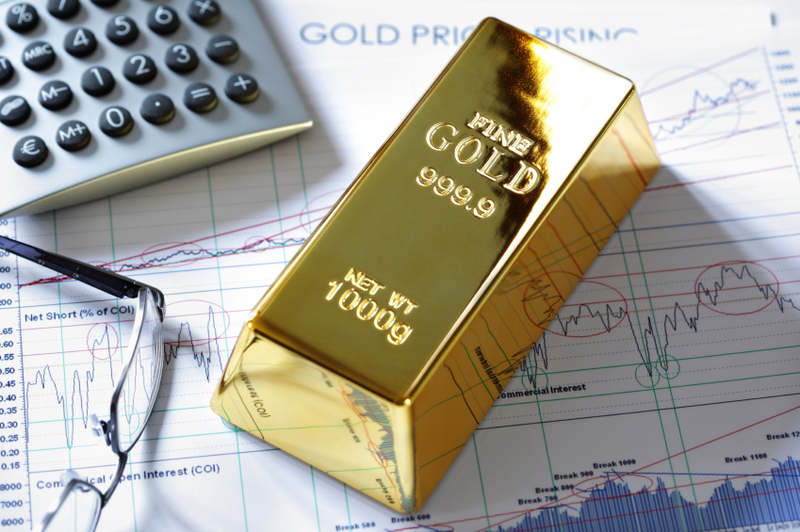 If you agree with the reasons above and are convinced physical gold is a valuable component of any portfolio, consider adding it to your retirement account through a Gold IRA. The long-term protection, risk hedging, and cost-effectiveness of gold highlighted in this article make it particularly well-suited for securing your retirement assets and your financial future. For more information, call American Bullion today at 1-800-326-9598 to speak with a dedicated agent.